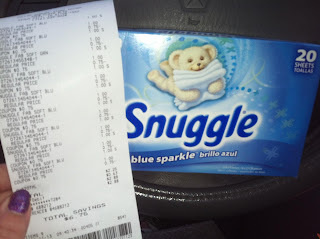 Beth Ann & Jessica's Helpful Savings: Snuggle Dryer Sheets, 20ct .50cents at the Dollar General after Printable coupon. Snuggle Dryer Sheets, 20ct .50cents at the Dollar General after Printable coupon. New Printable Coupon from RedPlum .50cents off 1 snuggle fabric softener or dryer sheets.